For many travelers, mobile data is more important than simple 2G calling. This is in part because nowadays, you can use mobile data to make calls but mostly because people stay connected with data using apps such as iMessage, Whatsapp and social media. Of course, anything you can do back home such as browse the web, watch videos, use Google Maps and check your emails, you can do while in Europe. *PLUS the price of one $29 credit bundle. This bundle will be in your cart upon checkout and is necessary for your service to work. Many travelers tend to use their phone more as a travel tool than as a device to make and receive phone calls, Activities such as browsing the web, checking emails, using Google Maps or using Instagram, Facebook and of course streaming movies and songs rely on data. Our International Smartphone Rentals offer unlimited data (up to12GB) of high speed data which is more than enough for 99% of all travelers. In addition, if you are traveling anywhere in the European Community, you will be able to make calls and text for free without using an app. If you do not need unlimited service and you need a more affordable option, please visit our International Phone Rentals section. Can I keep my US phone number? The service includes a UK cell phone number which is convenient for the Europeans to call you but, not so convenient for people back home to reach you. During check out, you have the option of adding a US phone number. You can either give the new number to those who you really want to talk to while you are in Europe or you can simply forward your current number to the new one and receive all of your calls. Whether you are traveling to only one country or to several countries, you will have seamless use from country to country of your phone from the moment you land in Europe. Austria, Belgium, Balearic Islands, Bulgaria, Canary Islands, Croatia, Cyprus, Czech Republic, Denmark, Estonia, Finland, France, Germany, Great Britain, Greece, Hungary, Iceland, Isle of Mann, Italy, Latvia, Lichtenstein, Lithuania, Luxemburg, Malta, Netherlands, Norway, Poland, Portugal, Republic of Ireland, Romania, Slovakia, Slovenia, Spain, Sweden, Switzerland, United Kingdom. Australia, Azores, Brazil, Channel Islands, Chile, Columbia, Costa Rica, Cyprus, El Salvador, French Guiana, Gibraltar, Guadeloupe, Guatemala, Hong Kong, Indonesia, Isle of Mann, Israel, Maderia, Malta, Martinique, Mayotte, Nicaragua, Panama, Peru, Puerto Rico, Reunion, Saint Barthelemy (St. Barts), Saint Martin, Singapore, Sri Lanka, Uruguay, USA,Vietnam. Can I Use apps on my rental? If you already have an Apple iTunes account, you can log in with your current account and all of your contacts and apps will download onto your iPhone Rental - just be sure to delete your account on the rental before sending it back. You can also create a new Apple ID temporarily just to use with the rental phone and download whichever apps you need just for the trip. In either case, we recommend downloading apps by turning the phone on to airplane mode and using a Wi Fi network before your trip. Please note that not all apps are compatible with the iPhone4 but virtually all are on the iPhone6. In addition, if you plan on using Google Maps, the iPhone 6 has a larger screen which is very useful while driving and looking at a map! The longer the trip, the less it will cost you per day. Our Android cost $8 or less per day, the iPhone 4 rental for Europe will cost you no more than $10 per day and the iPhone 6 rental will cost you no more than $15 per day. In addition, you will have to add a $29 credit voucher. The credit voucher is what gives you the actual 12GB data credit and call/text credit where applicable. To see exact pricing, please use the calendar. Please note that there is a 3 day minimum rental period. Can I add rental insurance? Yes, during check out, you have the option of adding insurance for a flat rate of $19.50, regardless of the length of the trip. We encourage you to add rental insurance to safeguard your phone from theft, loss and damage. Whether you rent the Android, the iPhone 4 or the iPhone 6, your rental will have the same call and data features. While in the cellular industry, 12GB to use for up to 30 days is considered unlimited as it is more than the vast majority of users can use in a month, if you use the phone constantly for video streaming and gaming, it is certainly feasible that you can use up the 12GB of data. The same thing applies for making phone calls. Unlimited outbound calls and outbound texts (within the EU) is more than enough for all but the most talkative and text happy traveler but, needs usage varies from person to person. We recommend that you contact your current provider to get an idea of your typical data usage. Ordering a Rental Phone for your trip to Europe is easy.. You can order online or speak to one of our expert advisors at 1-800-287-5072 and they can place the order for you. Be sure to request a US number add on if necessary. Time permitting, we deliver the Phone Rental 2 business days prior to your departure using UPS or FedEx. We can deliver the following day (except Sunday) for those with immediate departures. You will receive a fully charged iPhone 4 or iPhone 6, depending on what your ordered, complete with international chargers and plug adapters and simple instructions. If you have any questions, please call us or email us, preferably prior to your departure. There is no activation procedure. All you need to do is to start using the phone. Please do note that the first call, text or data usage will initiate the service. While the data portion of the rental may work in the US (depending on coverage), you cannot make calls. If you use the phone in the US it will start the service - which lasts for 30 days. Therefore, we recommend that you do not use the rental phone in the US. If you want to download apps, please put the phone on airplane mode and use Wi Fi. We will send you a prepaid FedEx Ground or USPS return label with your package. Please retain it and, upon return from your trip, drop off the package as per instructions within 2 business days from the last day of your rental period. Cellular Abroad will charge late fees at their own discretion if the return shipping date is later than 2 business days from the last day of your rental period. For more information, see Cellular Abroad's full Terms & Conditions. The SIM card does allow you to call anywhere within the EU from within the EU. However, if you want to call to the US, Canada or anywhere outside the EU, you will need to use an app that allows you to dial. Skype is one of many but certainly the most well known. What is a $29 credit bundle? As the dollar amount implies, a credit bundle costs $29...but what is it? There are two components of our rentals for Europe. The first is the hardware (the phone) and the second component is the service (the data credit and the call credit). Think of it like a car in the sense that you need gas for your car. The credit bundle is the "gas" for your phone. If you log on with your Apple ID, all of your apps will automatically load. 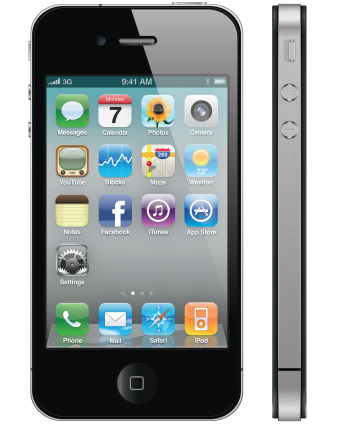 Please be advised that the iPhone 4 has an older operating system that does not support all apps. Please make sure to delete your account before returning the phone - otherwise we will have all your contact information, photos, emails and other sensitive information. That depends on the international long distance rates charged by their Long Distance Company or international calling card. We recommend adding a US number add on to your rental if you expect to get many calls from the US or Canada.